This entry was posted in Community Notices, General, Recent Happenings, Sport, Recreation & Leisure, Upcoming Events and tagged Balla, Belcarra, community, community notices, events, happenings, Mass (liturgy), Mayo, parish, Pastoral Council. 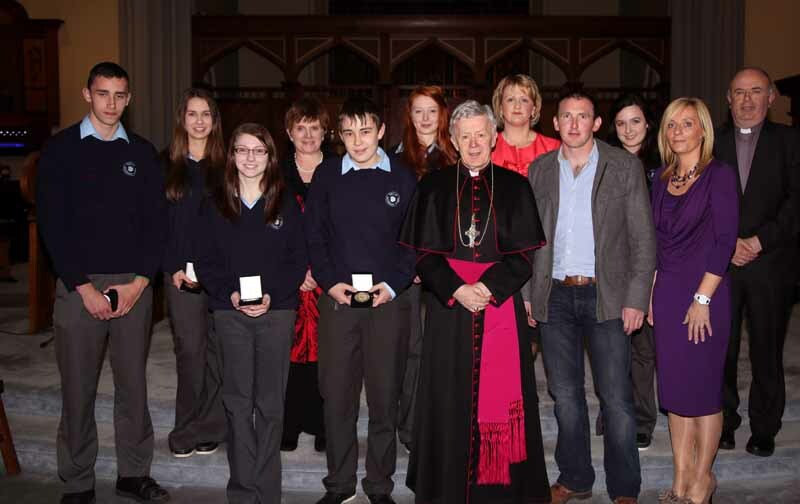 The Pope John Paul II award ceremony took place this year on Tuesday Nov. 5th at 5.45pm in Tuam Cathedral. Over 200 young people received their awards this years with quite a few receiving their Papal Cross. Archbishop Neary presented them with their awards and our special guest was Peter McConnell who climbed Mt. Everest earlier in the year. It was a great evening of celebration for our young people who do so very much in our church. If you would like more information on the John Paul II awards click here. Congratulations to the students and staff of Balla Secondary School on their success in the programme. Comhghairdeas to Fr Denis also. This entry was posted in Community Notices, Education, General, Recent Happenings and tagged Balla, Belcarra, Catholic Church, church, Mayo, newsletter, notices, Pastoral Council, Pope John Paul, Pope John Paul II, Tuam, Youth. This entry was posted in Community Notices, General, Recent Happenings, Upcoming Events and tagged Belcarra, church, community, community notices, deaths, events, happenings, mass, notices, parish, Pastoral Council. This entry was posted in Community Notices, General, Recent Happenings, Upcoming Events and tagged Balla, community, community notices, deaths, events, happenings, Mass (liturgy), newsletter, notices, parish, Pastoral Council. This entry was posted in Community Notices, General, Recent Happenings, Upcoming Events and tagged Balla, Belcarra, church, community notices, deaths, events, happenings, masses, Mayo, newsletter, parish, Pastoral Council, sacraments. This entry was posted in Community Notices, General, Recent Happenings, Sport, Recreation & Leisure, Upcoming Events and tagged Balla, church, community notices, deaths, events, happenings, masses, Mayo, newsletter, notices, organisations, parish, Pastoral Council. This entry was posted in Community Notices, General, Recent Happenings, Upcoming Events and tagged Balla, Belcarra, community notices, deaths, events, happenings, Mass (liturgy), masses, Mayo, newsletter, notices, organisations, parish, Pastoral Council, sacraments, school.